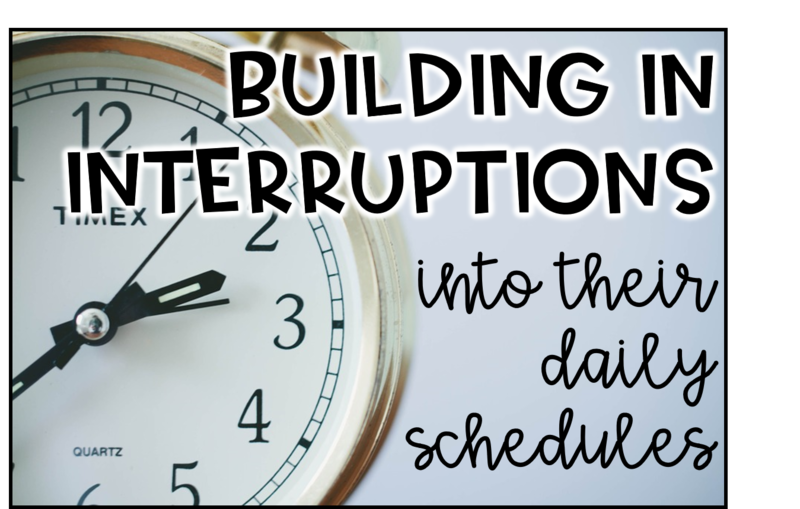 Once a week, I like to share a special education tip, and this week I want to talk about how to build interruptions into your kids schedules. This is a bit more Autism specific but many other students could benefit as well. Lots of students get rigid with their schedules and anytime there is something different that pops up, for example, there is a fire drill or PT changed times or music was cancelled, you'd find your student has major behaviors and meltdowns that could ruin their entire day day, and in turn, your day too! So why not teach them how to handle these interruptions by building them into the school day, so that you are ready and prepared on how to teach it. Whatever your plan is to teach them how to cope, have that ready for when you change the schedule. Then, without warning, change the students schedule! 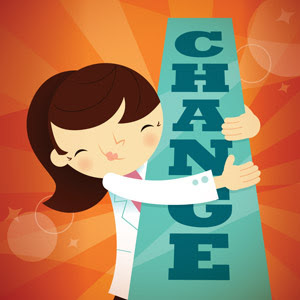 Teaching students to ACCEPT and HANDLE changes in their schedules is very difficult to do and could take months to master. I would start by showing them a social story on "how to handle changes in my schedule" and then change the schedule. Once they handle this step well, I would move on to abruptly changing their schedules. Because, lets face it, when they get into the real world, life isn’t so rigid, and they don’t have people scheduling their every minute of the day. Change happens all the time. Interruptions happen all the time. And our students need to know how to deal with it appropriately. I would say, as a high school special education teacher, I have the most difficult time putting interruptions into their schedules because they rely so heavily on their schedules and routines and has been ingrained in them since elementary school. This skill needs to begin in primary school so that when they reach high school they are more accustom. I only have so many years with students before they exit high school. This is a such a major life skill that often gets over looked. It seems so simple, but needs to be taught explicitly for students to learn the skill and master it. If you have a very rigid student (like me) I would provide other ways to change up their school day by adding interruptions and changes into their environment. You could do this by adding or subtracting peers or adults, changing the lighting, the smells or the sounds, by moving the furniture or even changing up the materials that you are teaching with!! I hope this helped! !